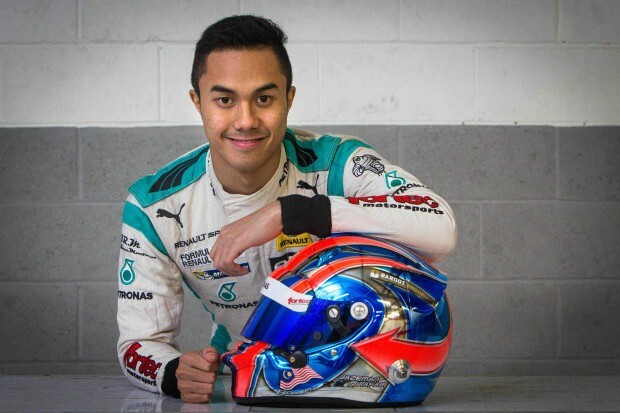 Jazeman Jaafar, a leading Malaysian racing driver, has a new commercial partner with worldwide subsea solutions company, Bardot Group, signing to support the talented athlete in his buoyant career. The 22-year-old from Kuala Lumpur, Malaysian, has been successful from a young age, winning in national karting events before moving on to single seaters. After being crowned champion in the Formula BMW Asia Series in 2007, he headed to Europe where he has enjoyed further podiums and wins. In 2012 he was Vice-Champion in the British F3 Series and moving up to F1 feeder series, Formula Renault 3.5 Series in 2014 he scored two podium finishes and this year took his first victory, with a superb win at Monaco and currently lies third in the championship. Guy Bardot, CEO, Bardot Group, says of the announcement, “We’re very pleased to be supporting Jazeman in his professional racing career. He is a personable, motivated athlete who has already achieved success and I’m sure will continue to make his way in the highly competitive environment of racing. We look forward to following his fortunes, watching him race and being part of Team Jazeman. “Bardot Group believes and profoundly invests with enthusiasm and passion into the development of new talents, in all specialties, and is always by their side to push them to reach their dreams. Jazeman is the perfect example of these young talents for which no dream is forbidden”. Jazeman’s Formula Renault 3.5 Series 2015 campaign resumes this weekend with the British round of the championship taking place at the circuit used by the Formula 1 championship, Silverstone, located in Northamptonshire.